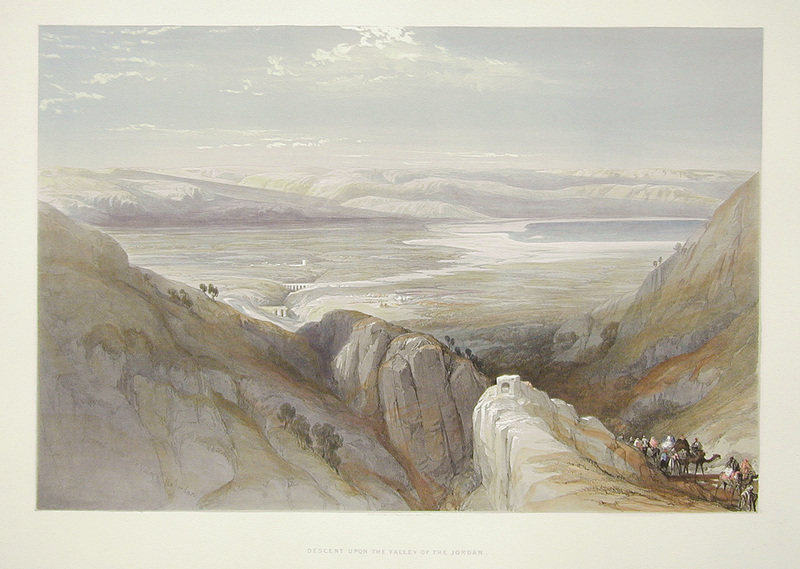 Comments: A full folio view of Roberts' party descending the hills on the road from Jerusalem to Jericho and the northern end of the Dead Sea, which can be seen in the distance. Title: Descent Upon the Valley of the Jordan. Image: Approx. 12 7/8" x 19 1/16 "